Kresten Osgood? A no-name for you? Don't worry, even most Danes haven't heard about this fantastic local drummer. 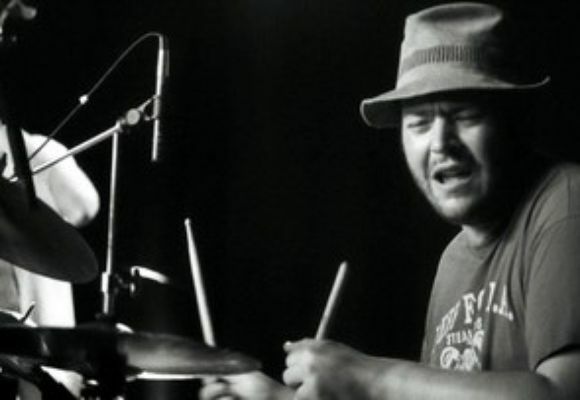 Even maestro drummer Ed Thigpen, who lives in Copenhagen, has called him a "genius drummer". It's known in the jazz community that Osgood adores the "No. 1 jazz furniture", the Hammond B-3 organ, to use his own words, so why not make a double CD with an organ trio on your own label. And Osgood even goes for gold medal - and calls Dr. Lonnie Smith for organ duty on this great live CD - "Hammond Rens" (English - Hammond Refine), recorded at The Copenhagen Jazz House in 2002. This CD capture some of the most free wheelin' jazz organ trio's I've heard in many years and there seems to be no end to the musical styles that the Doctor can cover with great imagination, technique and power play. The trio is completed with the tenor saxophonist Mikael Blake which is a real surprise given his roots from the more free jazz oriented community and not to forget Anders Provis on some tracks with playing "the fine art of Ghost percussion" (!?!). What can you expect from this CD? According to Smith's opening statement on track 1, you can expect music from the HEART. Funk, blues, free, ballads, boogaloo, swing; you get it all through great combo interpretation on tunes by Lucky Thompson, Curtis Mayfield, Roland Kirk, Slide Hampton and Osgood himself (showing promising compositional skills). This is not background music - turn up the volume and when the laser beam hits "Collins", and you're warned about what to expect for the next 11 tunes being like in the middle of the audience close to Smiths heavy organ bass lines, imaginative block chord comping and soulful melody lines support by Osgoods inventive drumming. Highlights after highlights are served by these gentlemen on this quality live recording, only the cd cover would have deserved better overall design. Altogether 160 minutes of soul, sweat and (no) tears worth every cent. Highly recommended! !